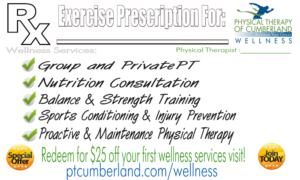 Thank you for choosing Physical Therapy of Cumberland. 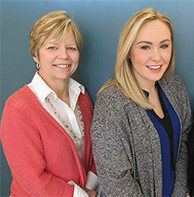 Ensuring a successful physical therapy experience requires a complete team effort. From the moment you walk in our door you will notice our commitment to an enhanced level of patient care. 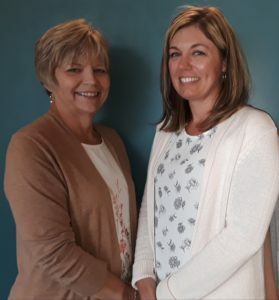 All patients are greeted by one of our friendly and accommodating staff members, who will make all administrative and insurance processes run as seamless as possible. For your first visit, please arrive 15 minutes prior to your appointment time. Remember to bring your doctor’s prescription, your insurance card, and any additional medical history or information that would be useful to your treatment plan. To save time, you can download, print, and complete our new patient forms prior to your appointment. For your initial evaluation and throughout your treatment, we ask that you wear comfortable, loose clothing that allows for fluid movement and mobility. Additionally, please remember to dress appropriately for your injury. For example, if you are being treated for a knee injury, please wear or bring shorts.